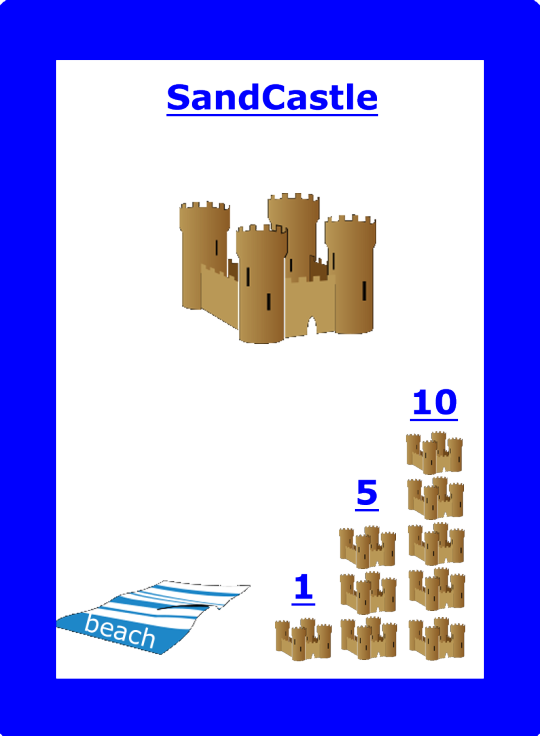 For A Day at the Beach, the first prototype was made with index cards, the night after discussing a beach-themed card game over dinner. Ally and I played it together and decided there was enough there that it was worth still working on. These were the first cards. You don’t quite know what your game will be until it has been played a bit. So don’t invest in art, etc. beyond what’s necessary early on, and play with people sooner rather than later to learn what works and what doesn’t. From when I thought the game was going to be good, until when I thought it was good enough to sell, the main change I made was simplifying it. This involved playtesting with continually new groups of people, as people would quickly become accustomed to the game’s flaws, rendering them invisible to experienced playtesters, but painful to n00bs . This process was iterative (and of course not full-time), but lasted over a year. The major theme was that I moved all of the game’s complexity to one place - the Action Cards which are self-documenting. Every other aspect of the game can be described on one Rules card. 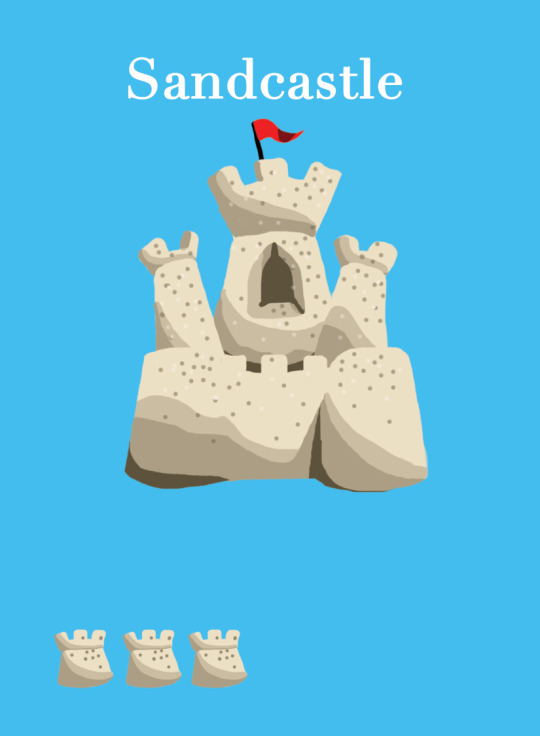 Here’s the same Sandcastle now - simpler, and with real art. Note the lack of a “beach” towel, and that there’s only 1 set. Removing complexity is hard to do, because each weird rule and complexity actually makes the game a bit better to the designer and people who have played a lot. But in aggregate a game with 50 rules is way more than 25x as complicated as a game with 2 rules to a n00b. So the game has to be so good that the complexity is worth it and that someone would be willing to spend an hour learning how to play. 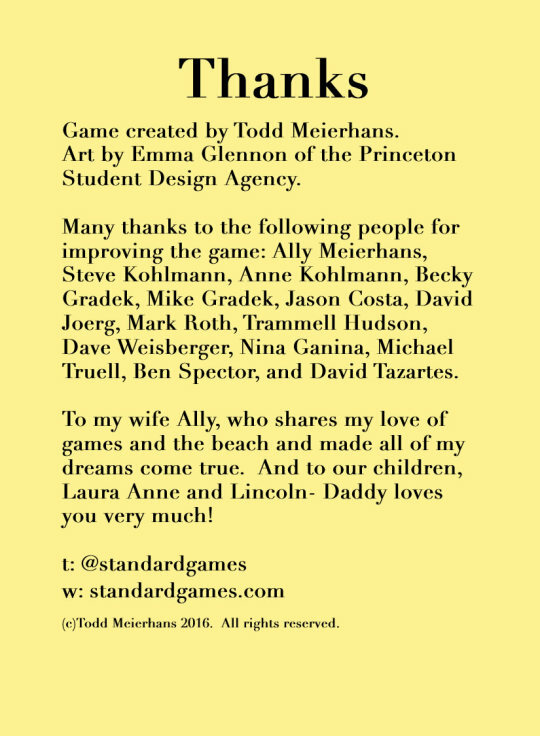 And look that may work for some games, but A Day at the Beach wanted to be family friendly and easy. So the complexity level had to reflect that. Mark Twain once wrote “I didn’t have time to write a short letter, so I wrote a long one instead.” Spend the time to keep your Rules “short”. The game is a lot less fun to play early on, so recognize everyone who played it repeatedly as part of your goal to make it better.